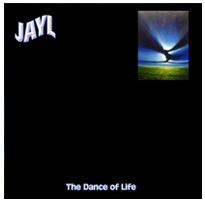 Founded in 2008 by Singer/Songwriter/Producer & Musical Innovator Jayl De Lara, initially for the release of his unique album and multi-media project - THE DANCE OF LIFE. 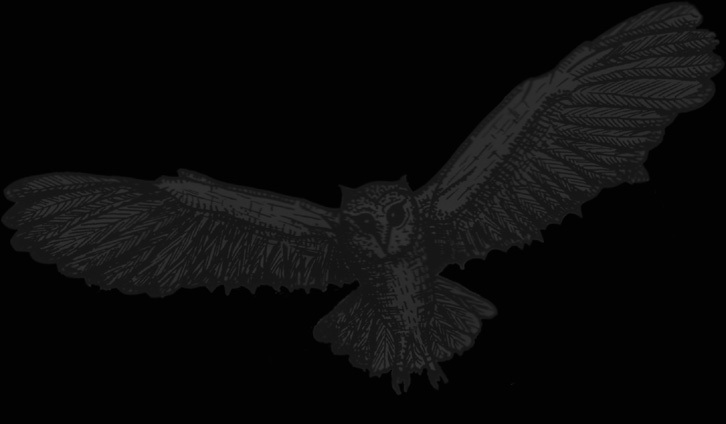 The label is a UK based independent, pioneering the 21st century music method and sound of PURISM. Fresh, dynamic and visionary, the label seeks to promote not only Jayl's own work, but also exciting new talent such as THE SINGING PICTURES - producing original and utterly compelling new music. 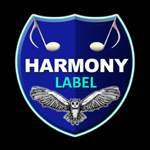 The label also serves as a platform to release the work from the very best protégés of Jayl's own HARMONY SCHOOL. 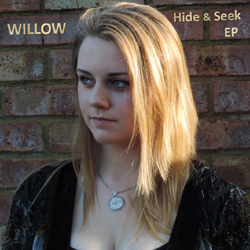 Introducing our new recording artist - Harmony School protégé WILLOW - with her debut CD - 'Hide and Seek' EP - containing 4 original tracks composed and performed by Willow herself and produced by Jayl @ The Angel Studio in the Forest of Dean, Gloucestershire. 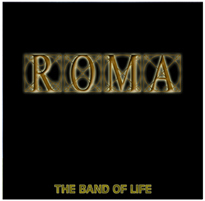 Last year she made her recording debut, singing on Jayl's album - The Band of Life - ROMA. Now Willow has created her own unique and haunting sound for her own CD. The songs have also been inspired by personal tragedy for Willow, as she lost both of her beloved grandparents last year. Two of the tracks are dedicated to them. Willow has studied and worked with Jayl at Harmony School for the last 5 years and the CD is the culmination of this amazing time together. A time that has seen Willow grow into one of the most talented and eclectic young artists of her generation. As well as her contemporary work, Willow is a member of Gloucester Cathedral Youth Choir. She has already performed at the Royal Albert Hall and will soon be singing at St.Paul's Cathedral, as she has now earned a place on to the prestigious Eton Choral Course. Willow is also training as a classical singer and recently starred as Christine, presenting a brilliant performance in her school production of "The Phantom of the Opera". There is no doubt that Willow has the potential to go really far in her music career and this Harmony Label professional CD release truly reflects her advancing talent. 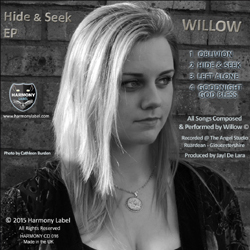 An advanced signed copy of Willow's CD is available by request from Monday 2nd March 2015. Just Contact Us or message us at Willow's Facebook Page. 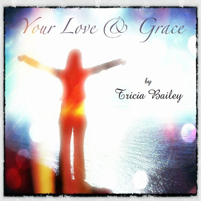 The CD will shortly be available to order on iTunes, Amazon, Spotify, LastFM, etc. And as a download as well. WATCH THIS SPACE! 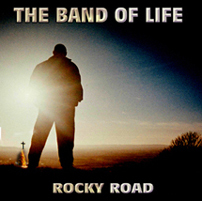 THE BAND OF LIFE is the latest musical incarnation of Singer/Songwriter JAYL - Founder of the Label and the Purism genre. The album ROMA has been 3½ years in the making and was recorded at Jayl's own Angel Studio in the Forest of Dean. This is actually Jayl's 6th official album release. He has been producing diverse and magnificent work since the release of his acclaimed 1997 debut album - 'The World and the Hooded Man'. This album is Jayl's most eclectic to date, taking Purism to new levels with many styles fused into one soundscape of melody and magic. 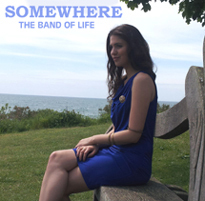 The new single 'Somewhere' (available on iTunes and Amazon) has been featuring regularly on BBC Radio 6. This is also the opening track of the album and is one of three composed with Shem Booth-Spain from The Singing Pictures. The album also features legendary sax maestro Matt Clackett. 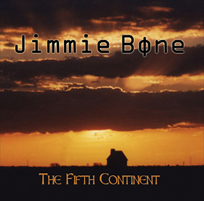 There are also contributions from Harmony Label artist Jimmie Bone, noted Jazz Musician Andy Wood (aka AC Wood) and Harmony School protégé - Tricia Bailey. The album was released on March 6th 2014 . THE SINGING PICTURES are based in London and have been working alongside the label seeking the advice and encouragement required in order to make their #DREAM become reality. This is their debut album and is a brilliant fusion of a myriad of genres. The band combines the passion and potency of singer/songwriters Rhys Lewis & Shem Booth-Spain, who have collaborated for over 2 years in order to make this DREAM evolve into something truly special. Rhys' lead vocals are both powerful and truly remarkable. The album also has contributions by sax legend Matt Clackett. 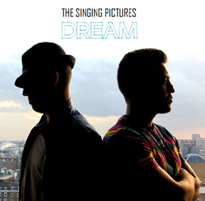 The label and The Singing Pictures are proud and excited to introduce this musical masterpiece #DREAM to the global marketplace. Released - March 2014.